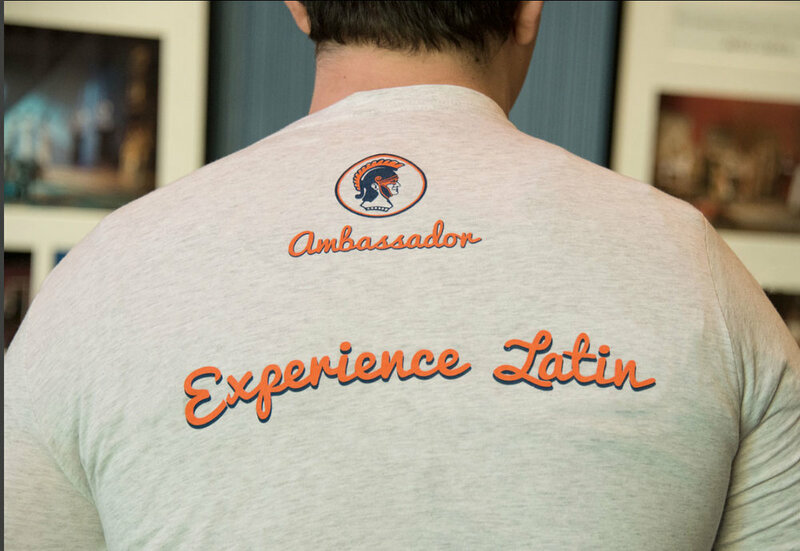 EXPERIENCE LATIN – Latin's Admissions Department uses an informational brochure and a one-sheet to recruit students. Advertisements for the annual Admissions Open House appear online, in local publications and on bus tails. 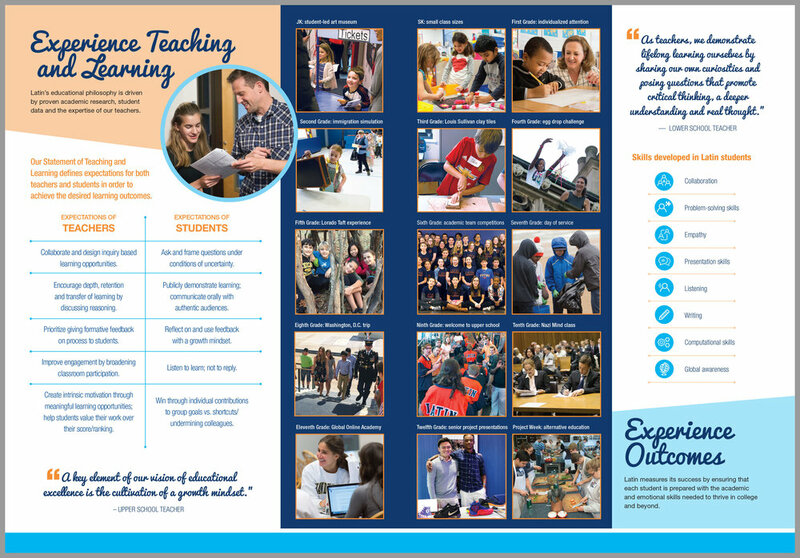 The brochure cover features an example of experiential learning at Latin. This photo is consistent throughout the Admissions materials. Student ambassadors wear branded t-shirts. Bus tail advertising the Admissions Open House. 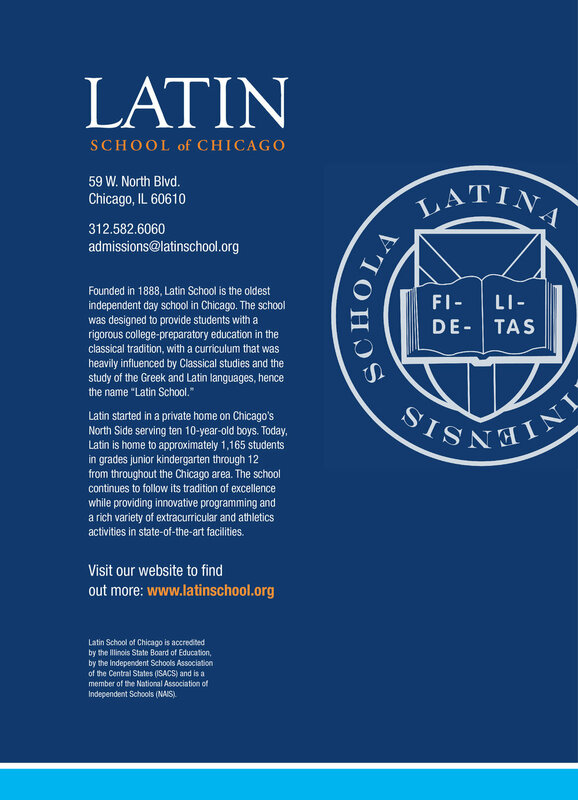 The Latin At A Glance one-sheet is a less expensive giveaway to prospective students and their families than the brochure and inserts. 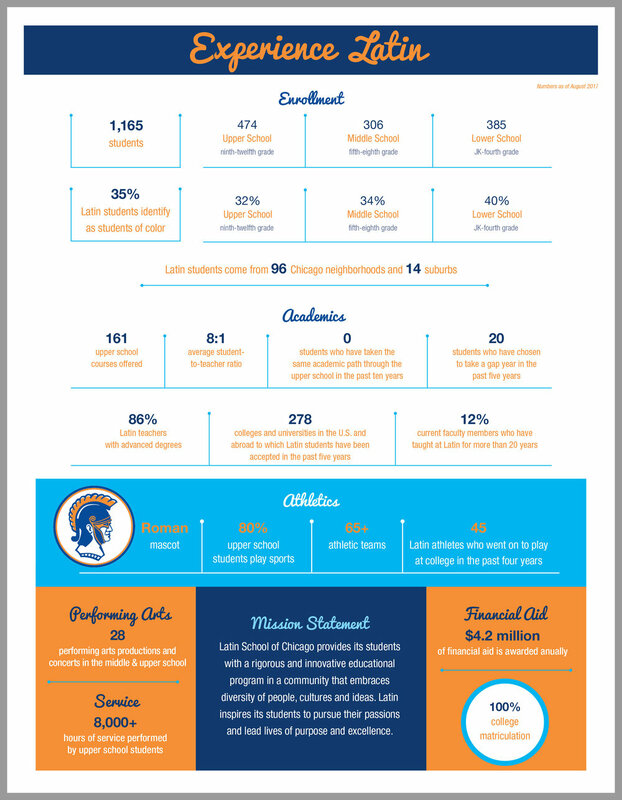 The one-sheet has stats about Latin on one side and information about visiting the school and applying on the other. The inside front cover of the brochure is a version of the Latin At A Glance one-sheet that has stats about Latin. 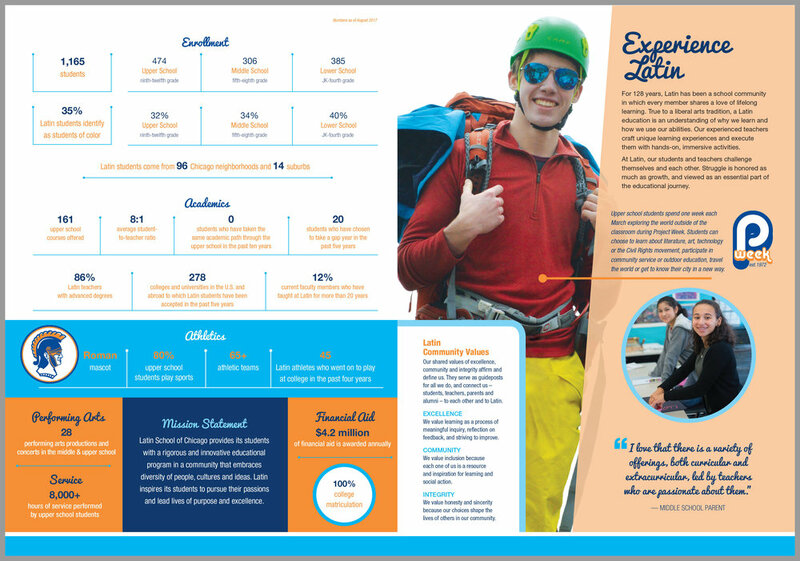 Page one of the brochure continues the introduction to the school and describes another example of experiential learning at Latin, Project Week. Experience Engagement and Experience Belonging. Experience Teaching and Learning and Experience Outcomes. Experience Community describes Latin's commitment to Community Service. Experience Achievement shows to what a Latin education can lead. 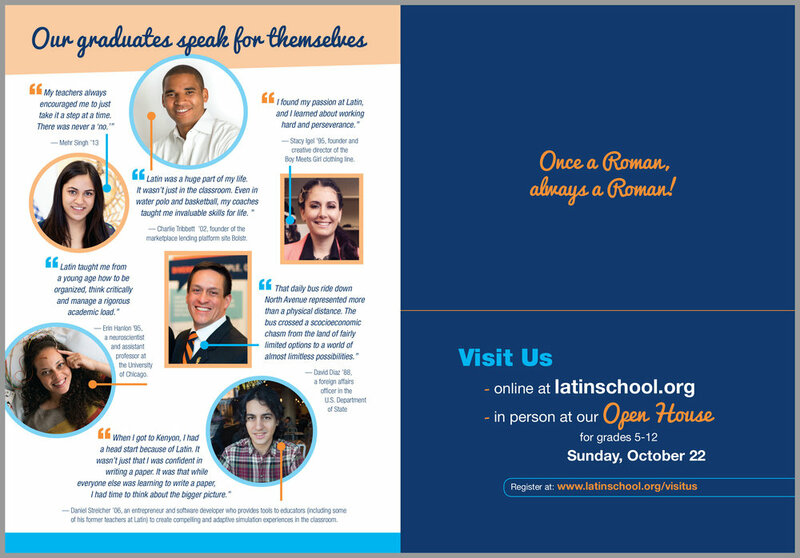 On the last page of the brochure, several Latin Alumni describe the successes Latin prepared them for. Opposite is a folder pocket for inserts. 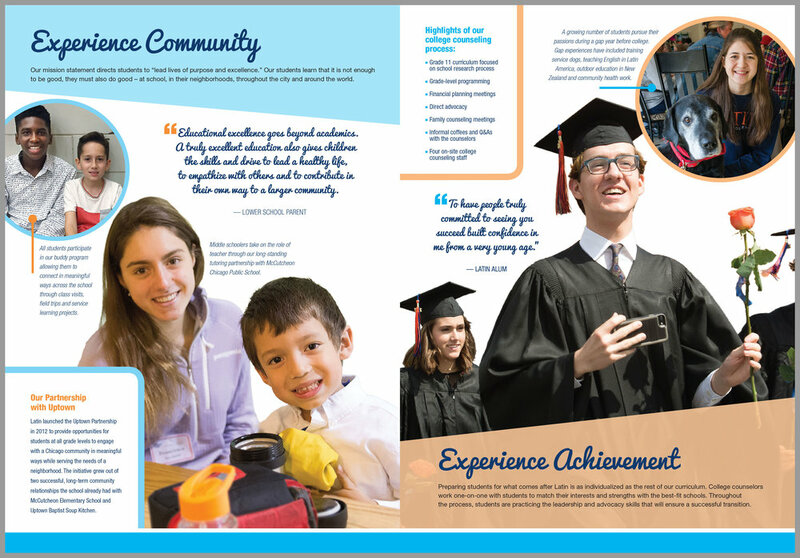 The back of the brochure has a folder that contains tabbed inserts about the arts, athletics, financial aid and applying to Latin.